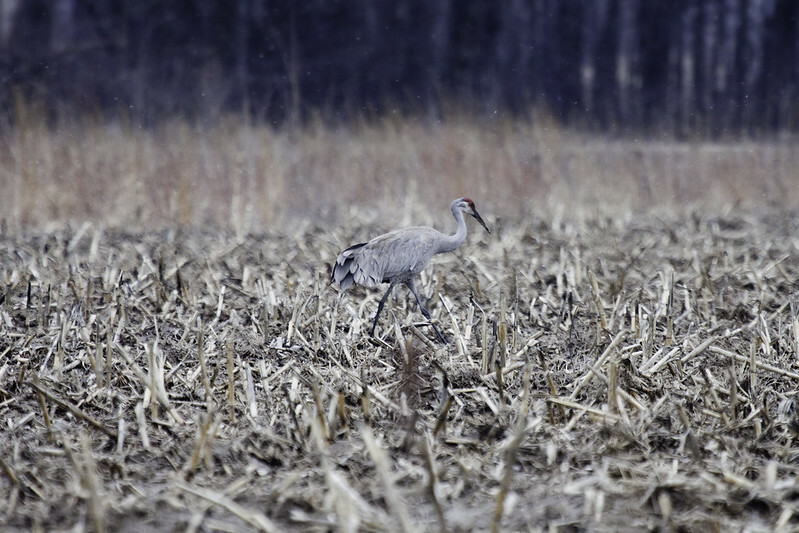 April 13th I participated in the annual Midwest Crane Count, a citizen science project my dad and I have done for several years in a row now. 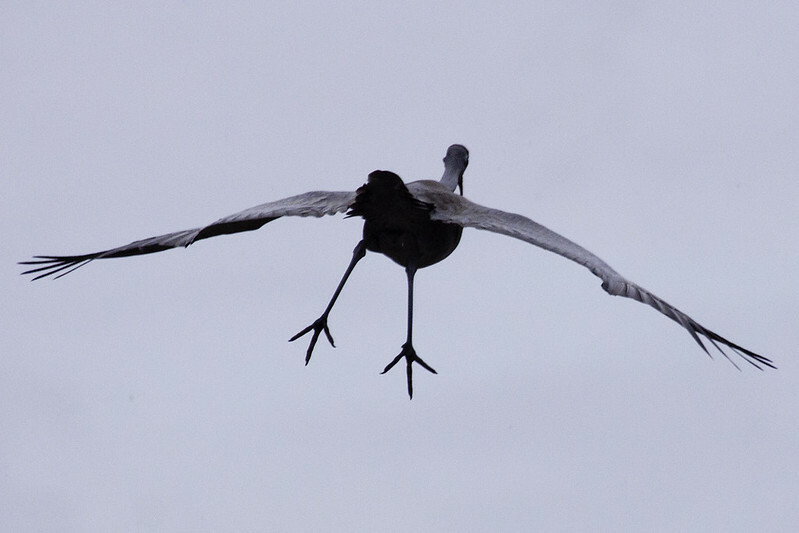 Our goal is to record any crane sightings (Sandhill or rarely, Whooping) and document any breeding pairs. Each year we have the same spot: an unassuming, small marsh that is easy to overlook if you’re not aware of its existence. In order to count cranes I was up at 3:30 in the morning to get ready, pick up my dad, and make it to our spot by 5:30 when the official counting began. We set up chairs and tuned our ears to the sounds of the marsh coming alive. 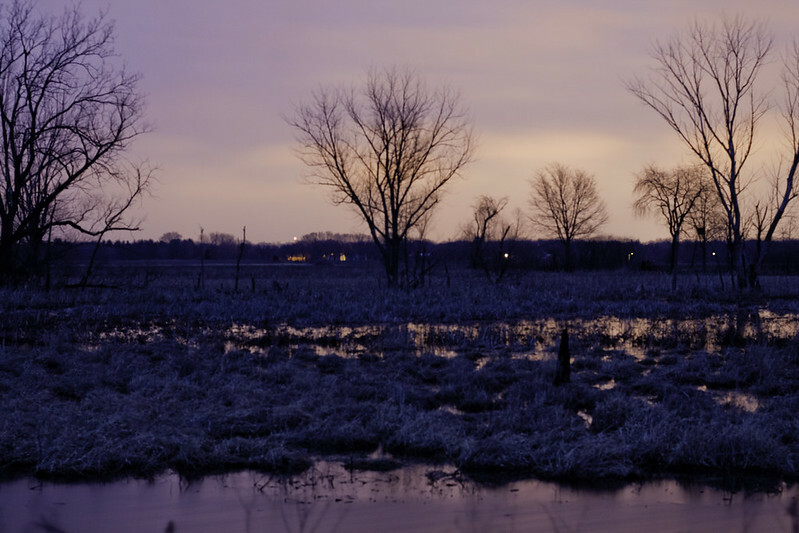 It sounds crazy to voluntarily sit/stand in below freezing temperatures for two hours in the middle of a murky marsh, not really anticipating seeing a lot. But to hear Wilson’s Snipe fluttering above us and surprising a Swamp Sparrow from his slumber just a few feet away make the frozen toes and numb ears go away. We spent the first hour not counting any cranes. The sunrise was a bit of a dud and it even began to snow a bit. 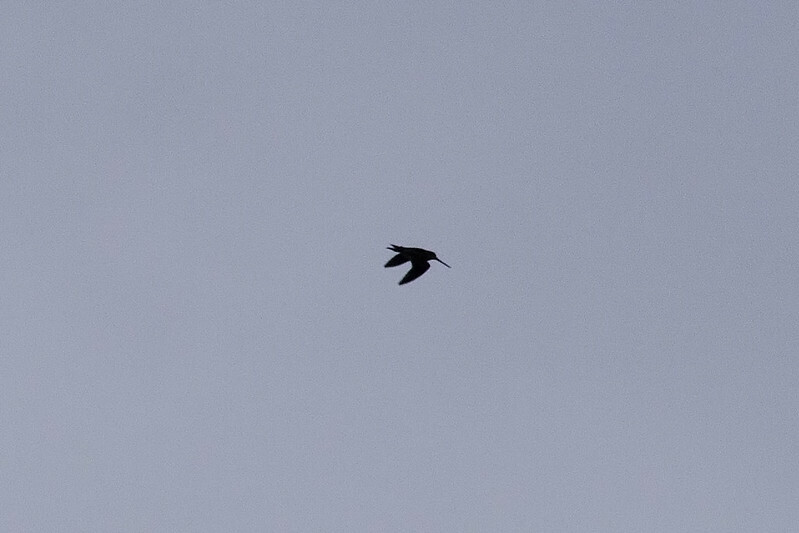 A Wilson’s Snipe flew back in forth above our heads, but was difficult to photograph. After a serenade of Red-winged Blackbirds, and a few passbys of a Northern Harrier, we finally heard our first crane. Then our first unison call, indicating a breeding pair! We were up to seven total cranes, two of which were pairs, by the time we were ready to depart. 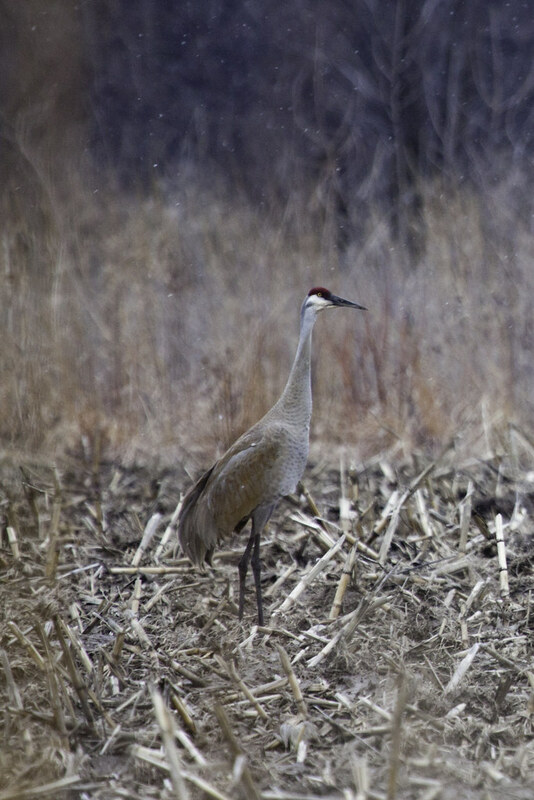 But before the two hour count period was up, we heard bugling nearby and a beautiful pair of cranes floated in out of nowhere and landed in the adjacent corn field. Three total breeding pairs. Not a record for us but also better than some years. Sounds like a very interesting project. It must be exciting to spot the cranes. Wonderful images!